The clock is ticking, we have 27 days to move. Today I had a few boxes from the attic and I set out on a mission to be as productive as I could. I wanted to begin sorting things out, deciding what could be parted with and packing up some of the items. I started with our blankets and sheets. I decided that I would keep 2 sets of queen size sheets, 1 full size and 2 crib sheets out. I kept 3 quilts and 3 baby blankets out as well. Everything else went into a huge box. We have a washer and dryer, so this was an adequate amount of bedding to keep out for use. After packing the blankets and sheets away. I had my children help me pack up some of their stuffed animals. We put these into a soft case under the bed organizer, this has made it super easy for the toys that they decide they really really want to play with that have already been packed. I can find them at a glance.Yes, when you are spending the days with the 4 and under crowd and moving, tears for favorite toys will flow. Trust me, when the goods get boxed up, suddenly the favorite toy title applies to at least 945 toys. 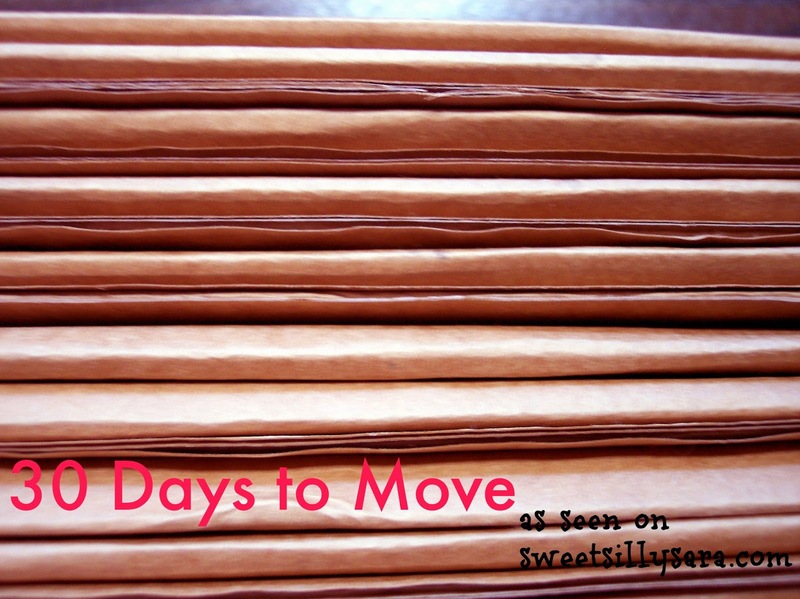 On Day 3 of 30 Days to Move. I also placed the clothes hangers from the previous day in reusable shopping bags and tied the handles to hold the hangers in. My husband returned from work to see a big pile of stuff with a sign taped to the wall that said STUFF TO MOVE. I took time to browse the listed rentals for my area, send messages as needed and cross my fingers for a good outcome in all of this.